﻿﻿﻿Fall classes begin August 20! 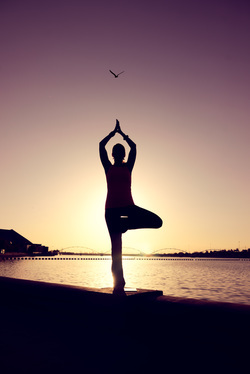 Join me on Facebook for daily updates on all things yoga! Gentle yoga is a slower, more gentle way to practice and is appropriate for all ages. ​*Passes expire after one year, are not refundable or transferable. *Passes expire at the end of each season in March are not refundable or transferable. Save 20% off the drop in rate of $10 per class when you buy an 8-class pass. Save 30% off the drop in rate of $10 per class when you buy an 8-class pass. The Community College fall semester begins in August! The Hatha Yoga classes consists of promotion of overall health by strengthening muscles and stimulating glands and organs. Basic postures, breathing and relaxation techniques. You Matter - Be the first to know what's going on around here with my latest news. Sign up here!